The UST Class A/B & C Operator Training Courses are self-paced, video-enhanced courses that meet the requirements for environmental compliance of state and federal regulations for an UST Facility Class A/B or C Operator. Depending on your state’s regulations, this material may require additional site-specific training. The Certificate of Course Completion can be downloaded and printed for documentation purposes. In order to obtain the Certificate, you must log into your student account and click the “Certificates” link found adjacent to your course. The certificate contains a section for the Class C Operator to sign and date, attesting that you have taken the course and passed the examination. The certificate also contains a section for the Class A or B Operator to certify that on-site training has been completed, as required by your state. Section 1524 of the Federal Energy Policy Act of 2005 placed new requirements on federal and state governments for underground storage tanks (UST). Among the requirements, each state was to develop an operator training program for all UST owners and/or operators and require each UST Facility have Class A, Class B, and Class C operators. 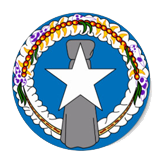 Northern Mariana Islands has not yet been granted state program approval (SPA). The Northern Mariana Islands - CNMI Bureau of Environmental and Coastal Quality regulates the installation and operation of STP-regulated storage tank systems and oversees cleanup at sites impacted by eligible leaking tanks to protect Northern Mariana Islands's land and groundwater from contamination. If you work at a facility with an underground storage tank (UST), you may need to take operator training based on your job responsibilities. If you own or manage a facility. with an underground storage tank and are responsible for federal and state compliance for the tank, you will need to take Class A/B operator training. If you work at a facility, with an underground storage tank and may need to handle emergencies that may happen on site (such as spills, leaks, overflows or fires), you will need to take Class C operator training. This is the person who has primary responsibility to operate and maintain the underground storage tank system. For a typical gas station, it is the owner of the station or his designee. For large corporations, this is the manager or designee responsible for tank operations. The class A operator can also be designated as a Class B operator as long as he/she has passed the Class B operator exam. This designation is for the individual or individuals who implement day-to-day aspects of operating, maintaining, and record keeping for underground storage tank systems at one or more facilities. For a typical gas station, it is the owner or the person/company contracted by the owner to maintain the tanks. For large corporations, it is the employee, or person/company contracted by the corporation to maintain the tanks. A broad knowledge base is required for a Class A operator, but the Class B operator must have in-depth knowledge of tank system operation and maintenance. This is an individual who is responsible for responding to alarms or other indications of emergencies caused by spills, releases, or overfills associated with an underground storage tank system. For a typical gas station, this is the cashier. Though an exam is not required, this person must be trained in responding to releases, alarms, and emergency conditions. Training can be performed by the Class A operators, Class B operators, or third-party vendors. Class C operator training is required to be documented. EPA required states specify retraining requirements for designated operators. States have addressed this differently. Some states require periodic refresher training, while others require targeted specific retraining on those areas where a compliance violation is identified. Owners and operators should check with the state where their USTs are located to determine the state’s retraining requirements. What documentation will owners and operators need to maintain? Depending on a state’s operator training requirements, legally responsible UST system owners and operators may be required to identify appropriately designated operators, as well as verify training in line with state requirements. Owners and operators should check with the state where their USTs are located for state-specific requirements. In June 2015, the EPA issued the 2015 underground storage tank regulation and the 2015 state program approval regulation. The revisions strengthen the 1988 federal underground storage tank (UST) regulations by increasing emphasis on properly operating and maintaining UST equipment. The revisions will help prevent and detect UST releases, which are a leading source of groundwater contamination. The revisions will also help ensure all USTs in the United States, including those in Indian country, meet the same minimum standards. The 2015 state program approval (SPA) regulation also updates SPA requirements in 40 CFR part 281 and incorporates the changes to the UST technical regulation listed above. Indian country UST owners and operators must meet the federal requirements according to the schedule in the 2015 UST regulation. Meets federal regulations for UST Class A/B & C Operators. UST training is required by federal law and is intended to ensure that those who own and operate underground storage tanks understand how to operate and maintain UST systems properly. As required by the EPA, all UST operators (Class A/B & C) must be trained by October 13, 2018. Key ust terms: ust,ust training,ust certification,ust operator training,ust facility,ust class a,ust class ab,ust class b,ust class c,ust course,underground storage tank,epa compliance, state-approved,ust education,usttraining,ust refresher,ust course,training,certification, pei, petroleum equipment institute, nacs, national association of convenience stores, refresher, petroleum storage tank division, ust program, ust compliance, ust system, ust state requirements,lust,leaking underground storage tank. © Copyright 2013 . UST Training Courses. All Rights Reserved.